This accredited qualification will provide Learners with the skills, knowledge and understanding of Cardiopulmonary Resuscitation and how to confidently use an Automated External Defibrillator (AED). 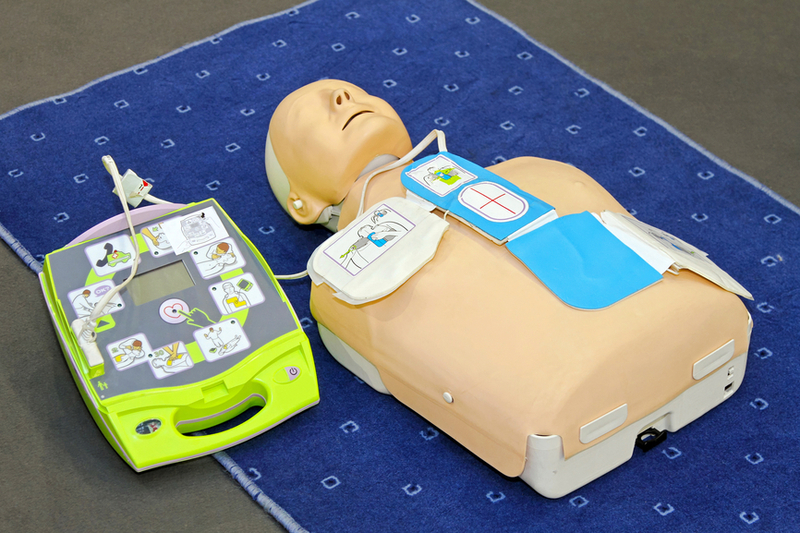 It is recommended as training for first aiders in the workplace environment who have access to a defibrillator. The minimum contact hours of this qualification, excluding breaks, should be for a minimum period of 4 hours with one of our professional trainers. Our trainers will bring the training version of the AED you have on your premises, or a generic unit if that suits better. All successful students will be issued with a CPR and AED Certificate. This Level 2 Award in Cardiopulmonary Resuscitation and Automated External Defibrillator RQF qualification is valid for a period of 3 years, at which point learners will need to re-sit the course.